Dubai, UAE, March 04, 2018: Every year, Skyline University College organizes career counselling workshops for Non-Arabic and Arabic schools in the United Arab Emirates with objective of helping students choose the right career to pursue in their higher education pursuit. Associate Professor, Dr. Mohit Vij closed the workshop with a motivational talk on choosing the right course to pursue and encouraged the students to choose a path that they are passionate about and a path where they can utilize their knowledge, skills, and values. 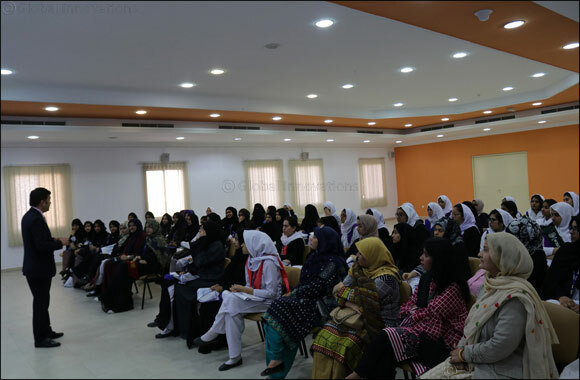 Furthermore, SUC has also conducted a separate Career Counselling Workshop and Campus Tour for the Grade 12 students of Salman Al Farsi School (Arabic) on February 22 and 26, 2018. Student Affairs Head, Dr. Osama Ali Thawabeh and Professor, Dr. Nizar M.F. Sahawneh conducted a presentation of the School of Business and School of IT to briefly introduce the programs offered at Skyline. The presentation was followed immediately by an interactive workshop on choosing the right career and how to deal and manage school exam stress.